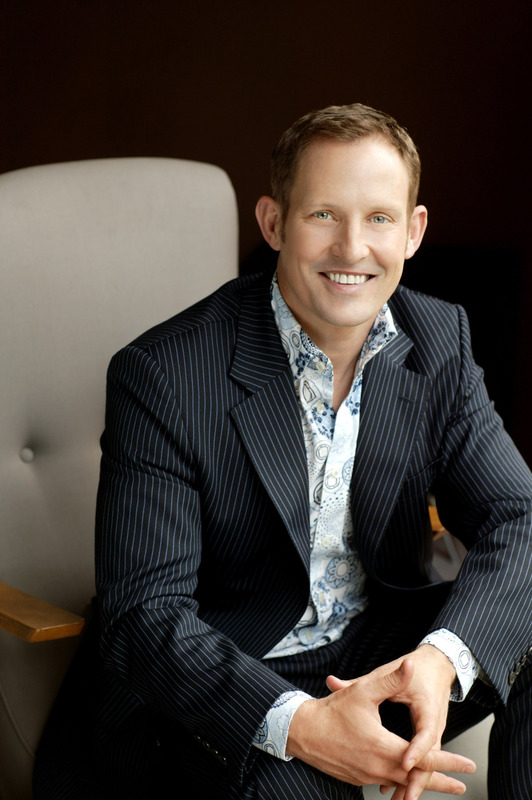 Todd McKenney: What a Life! Todd McKenney is not one to sit around waiting for work. If he’s not in a musical or on television, he produces things for himself. And with three stage shows on the go, he is becoming quite the entrepreneur. “I’ve got a big mortgage, I have to,” he says with a big laugh. “That’s the problem with buying a big house, it comes with a big mortgage. It does motivate me to keep getting out there but I am also single. I’ve got my dogs and I’ve got my career. I don’t have a partner. I don’t have any real distractions. If I’m not (working) I’m just sitting at home. And I love (performing) so why not do it? McKenney’s latest show What a Life! premieres at Glen Street Theatre in Belrose on July 7 and then tours to Dapto, Campbelltown, Bankstown and Rooty Hill, with performances in Melbourne at the end of the year. Although it celebrates his 30 years in showbiz, McKenney says that it won’t be a chronological survey of his career. “I don’t want it to be a musical theatre show. I want it to be artists and music from whatever genre that have influenced me growing up. Every single song has had a big impact on me,” he says. The former hoofer has decided to dust off his tap shoes for a rendition of I Got Rhythm to end Act I. “I put them on and clopped around my lounge room making sure my feet still know what to do – and they did. My dogs were looking at me thinking, ‘what the heck?’ But that was when I got the biggest wave of nostalgia. I haven’t choreographed tap dancing for myself in 25 years,” he says. The show will end with a Peter Allen mega-medley. “I think I’d by lynched if I didn’t do Peter Allen. But I want to try and do slightly different arrangements of things and some songs that aren’t in the Peter Allen show,” he says. His other shows include the popular Todd McKenney Sings Peter Allen, performed with his band and backing vocalists (which arrives at Penrith Panthers on July 1 and Mittagong RSL on July 2) and The Piano Sessions, a more intimate show touring regional NSW from September, which he describes as a cross-between the Peter Allen show and What a Life! In September, McKenney also plans to launch a series of Sunday afternoon “in conversations” at the Ensemble Theatre where he is patron, at which he will interview a musical theatre performer and intersperse their chat with songs. Six Dance Lessons in Six Weeks was a big hit for the Ensemble Theatre in 2006, winning a 2007 Helpmann Award for Best Regional Touring Production when they took it on the road. The production was blessed to have Nancye Hayes and Todd McKenney co-starring in the bittersweet two-hander. A decade on, the Ensemble is doubly blessed that Hayes and McKenney have reunited with director Sandra Bates for the current revival. It’s perfect casting and even more touching than last time around. The 2001 comedy by American playwright Richard Alfieri has a classic odd-couple premise. Set in a light, bright, well-appointed Florida condominium, wealthy retiree Lily Harrison, the lonely, prim widow of a Baptist minister, has hired a dance instructor to polish her ballroom dancing. Enter Michael Minetti, an acerbic, middle-aged, gay, former Broadway chorus boy with plenty of attitude and a bad case of foot-in-mouth. Things don’t get off to a good start. Both initially have their guard up and are less than honest with each other. Early antagonisms threaten to detonate their lessons before they begin. But gradually they foxtrot, cha-cha, tango and waltz their way to a blossoming friendship, realising that they have far more in common than they could ever have imagined. Six Dance Lessons is well-written with lots of zingy one-liners but it’s also fairly predictable and sentimental and could easily become schmaltzy if allowed to. However, under Bates’ direction, Hayes and McKenney play against the sentimentality and create tough, flawed, warmly believable characters. They have a lovely rapport and both are able to play the cut-and-thrust of the comedy superbly while convincingly suggesting the emotional scars both characters carry within. Both Hayes and McKenney are very experienced dancers, of course, so the dancing (choreographed by John O’Connell) is effortless and full of charm. The fact that they are ten years older this time actually suits the roles and lends the play an added poignancy. Designer Graham Maclean’s gleaming set and attractive costuming makes for a vibrant looking production that complements the feisty comedy. Gently touching on homophobia, loneliness and ageism, Six Dance Lessons wears its heart on its sleeve but Hayes and McKenney do the play proud, bringing enough nuance to their roles to make the lightweight comedy a moving plea for understanding and acceptance. At the 2014 Helpmann Awards, a David and Goliath contest in the musical theatre categories generated the biggest buzz of the night, with observers genuinely intrigued to see how the votes had landed. For there, alongside the large commercial shows like The King and I, The Rocky Horror Show and Strictly Ballroom, was Sweet Charity: the inaugural production from the newly formed Hayes Theatre Co, which had turned a 110-seat theatre in the Sydney suburb of Potts Point into a dedicated venue for independent musical theatre and cabaret. 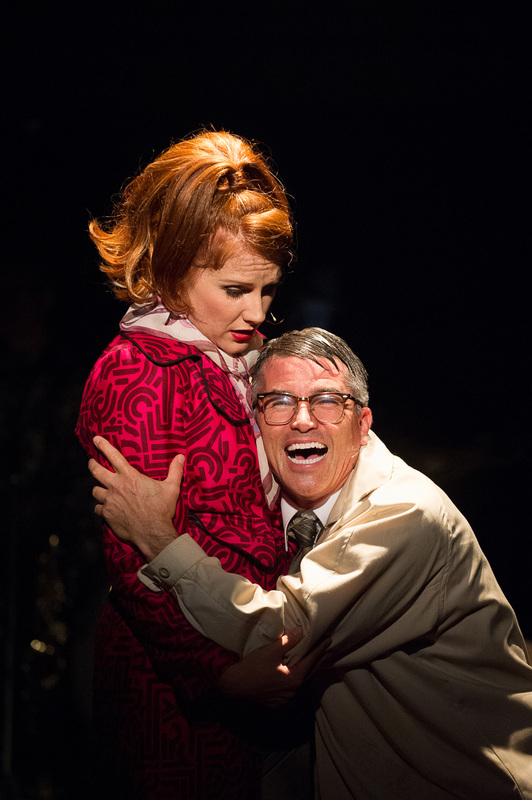 Sweet Charity, which sold out within three days after rapturous reviews, received eight Helpmann nominations and won three for its director Dean Bryant, choreographer Andrew Hallsworth and leading lady Verity Hunt-Ballard. The production returns this week, opening at the Sydney Opera House’s Playhouse Theatre on Friday for a three-week season then touring to Canberra, Wollongong and Melbourne. Bryant is one of Australia’s busiest young musical theatre directors. He is the worldwide associate director of Priscilla, Queen of the Desert and has directed The Producers, Anything Goes and, late last year, La Cage Aux Folles for The Production Company in Melbourne. This year, he helms his biggest production to date: Cole Porter’s Anything Goes, which he believes has “a perfectly conceived script and a brilliant score”. Opera Australia is co-producing the show with John Frost, following their successful collaborations on South Pacific and The King and I. It was Todd McKenney who initiated the production, telling Frost he’d love to reprise the role of Lord Evelyn Oakleigh, which he played for The Production Company. “I thought, ‘good idea, it’s time for a revival’ and I thought Dean had done such a great job of it. I asked if he’d like to do it, though I said, ‘I don’t want it to be a copy of what The Production Company did,’” says Frost. The production stars Caroline O’Connor as Reno Sweeney alongside McKenney, Alex Rathgeber, Debora Krizak, Wayne Scott Kermond, Claire Lyon, Carmen Duncan and (controversially) Alan Jones in the small role of the ship’s captain. The basic structure of the set has been imported from a New Zealand production but designer Dale Ferguson is refurbishing it, making significant change and changes to create a new look. Ferguson will also design the costumes. Hallsworth will do the choreography as he did for The Production Company version but the production will be new. “We have a mostly new principal cast, it will be a fresh ensemble, there are new designers on board and we’re in different venues,” says Bryant. “As far as I’m concerned we’ll build it as if we’ve never done the show before, but we happen to have the knowledge of the previous production stored in our memory banks. 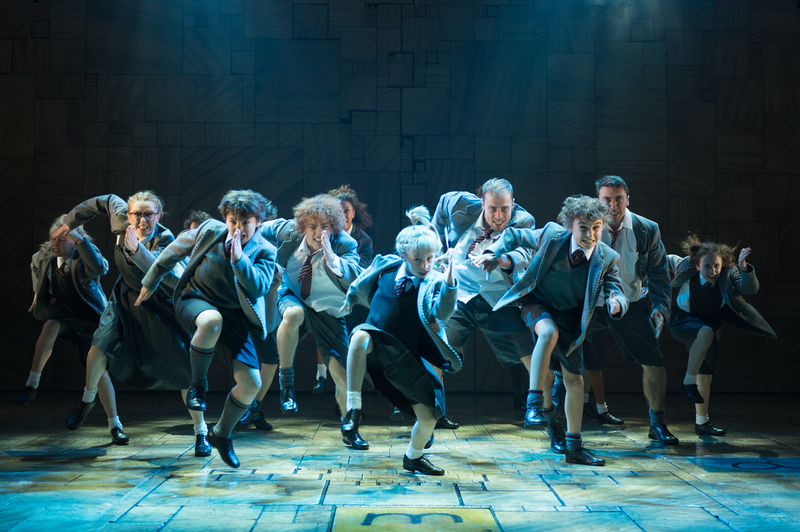 Matilda the Musical with book by Dennis Kelly and music and lyrics by Australia’s own Tim Minchin is one of the year’s most keenly anticipated shows. Described by the New York Times as “the most satisfying and subversive musical ever to come out of Britain”, Matilda was commissioned by the Royal Shakespeare Company who premiered it at Stratford-upon-Avon in 2010. In 2011, it transferred to the West End winning rave reviews and a record seven Olivier Awards. A Broadway production opened in 2013 to ecstatic reviews and won four Tony Awards. Based on Roald Dahl’s book, it tells the story of Matilda Wormwood, a precocious, book-loving child with a ghastly family and a brutally evil headmistress, who stands up to injustice and prevails against the odds, with a little help from her telekinetic powers. The RSC will present the show in Australia with several producers including Australian-based Louise Withers whose other credits include Billy Elliot the Musical. The cast will be announced in April. “We are auditioning between November and February. When you are dealing with this many children you can’t audition too early as they grow up too fast,” says Withers. There are a total of 29 children across three casts. “We had 52 children in Billy Elliot so 29 is OK,” she adds sanguinely. Some believe that Sydney’s Lyric Theatre, where the production opens in August, is too large for the show. “Obviously it’s a different size to the London theatre. Theatres in London and New York tend to be smaller. But the design will be developed to help bring the eye in, and the show is full of life and energy so I’m sure it will fill the space,” says Withers. Sydney will also host the Australian premiere of Here Lies Love, which will be presented as a centerpiece of the Vivid Sydney festival. An immersive disco musical by David Byrne and Fatboy Slim about Imelda Marcos, former first lady of the Philippines, the show had its first outing at the 2006 Adelaide Festival where it was presented in a concert version. The fully-fledged show premiered in New York in 2013 and recently had a sell-out London season produced by the National Theatre. The inventive staging has the actors performing on platforms and moving catwalks, creating a club-like environment in which the audience is forced to keep moving, while video projections mix historical footage with live simulcasts. The Australian production will be staged in The Millennium, a purpose-built, pop-up venue in Barangaroo. From London’s West End comes Thriller Live, which celebrates the music and career of Michael Jackson and the Jackson Five. The national tour began in Perth in December. The show opens in Brisbane this week then tours to Melbourne and Sydney with short seasons in each. (There is an interview with the show’s creator Adrian Grant on this blog). In September, The Lion King became the top-selling musical, indeed entertainment, of all time taking $6.2 billion worldwide since it opened on Broadway in 1997. After doing roaring business in Sydney this year, the production opens in Melbourne in February. 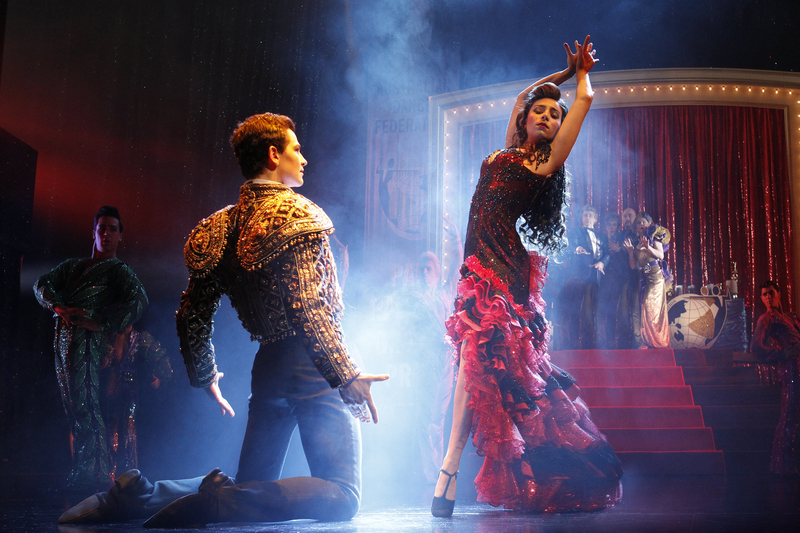 Baz Luhrmann’s Strictly Ballroom The Musical also moves to Melbourne where it plays at Her Majesty’s Theatre from this Saturday after premiering to mixed reviews in Sydney. Meanwhile, the 25th anniversary production of Les Misérables, with brand new staging, starts the year in Perth and then moves to Sydney in March, after a successful Melbourne season in 2014. Other musicals, which continue touring into 2015 include Grease (which runs at Melbourne’s Regent Theatre until January 30), Wicked and The Rocky Horror Show, all produced in Australia by Frost. Wicked closes in Sydney on January 30. Suzie Mathers takes over the role of Glinda from Lucy Durack (who is expecting her first baby) for the Brisbane season from February 12 and then Perth in May. Simon Gallaher takes on the role of the Wizard. Craig McLachlan reprises the role of Frank N Furter in the Sydney season of The Rocky Horror Show, which begins its run on April 11, with Bert Newton stepping into the role of the Narrator. Other cast changes will be announced soon. The show then returns to Melbourne’s Comedy Theatre in June. Sadly, Once, which Frost produced with Melbourne Theatre Company, will not tour despite wonderful reviews. It plays in Melbourne’s Princess Theatre until February 8. Though not strictly a musical in the way it uses (or fails to use) songs, Frost is also producing a 10th anniversary tour of Dirty Dancing, which began life in Australia in 2004 before spending five years in the West End. Starring Kirby Burgess and Kurt Phelan, it received mixed reviews when it opened in Sydney recently. The Sydney season winds up on February 22 then moves to Melbourne, Brisbane and Perth. There have been persistent rumours that Frost will also produce The Sound of Music in 2015 though nothing is yet confirmed. Stay tuned. Though Frost candidly admits that he isn’t terribly keen on producing new musicals, he does have one in the pipeline: Dream Lover about Bobby Darin, which was to have opened late in the year but will now probably open in 2016. “I don’t really enjoy doing new musicals, they’re too hard for me,” says Frost, whose productions of An Officer and A Gentleman and Doctor Zhivago struggled at the box office. Written by Michael-John Howson and Frank Howson, Dream Lover has had two workshops and a substantial amount of script development. Simon Phillips will direct the production once he and the right-sized theatre become available. “I didn’t really want to put it into a 2000-seat theatre,” says Frost. Phillips will also direct a new musical for Queensland Theatre Company called Ladies in Black. Adapted from Madeleine St John’s 1993 novel The Woman in Black, it has a book by Carolyn Burns and music and lyrics by Tim Finn. Set in Sydney, during the 1950s and 60s, Ladies in Black centres on Lisa, a bright-eyed, bookish school leaver whose life is transformed when she joins the sales staff in the city’s most prestigious department store. The production stars Christen O’Leary. Other subsidised companies to feature musicals in their seasons include Melbourne Theatre Company, which is staging a “boutique musical” called What Rhymes With Cars And Girls, by Aidan Fennessy, a contemporary love story with songs from Tim Rogers’ first solo album, and Victorian Opera, which is presenting Sondheim’s Sweeney Todd with Teddy Tahu Rhodes in the title role, following productions of Sunday in the Park with George and Into the Woods. Perth’s Black Swan State Theatre Company will also stage its first musical for many years and its first American musical: the Pulitzer Prize-winning Next to Normal about a suburban mother with bipolar disorder. Opening in November, it will star Rachael Beck and Brendan Hanson. “It won three Tony Awards from 11 nominations and the Pulitzer Prize for Drama so it was an obvious one for us to dip our toe into the water with,” says artistic director Kate Cherry. 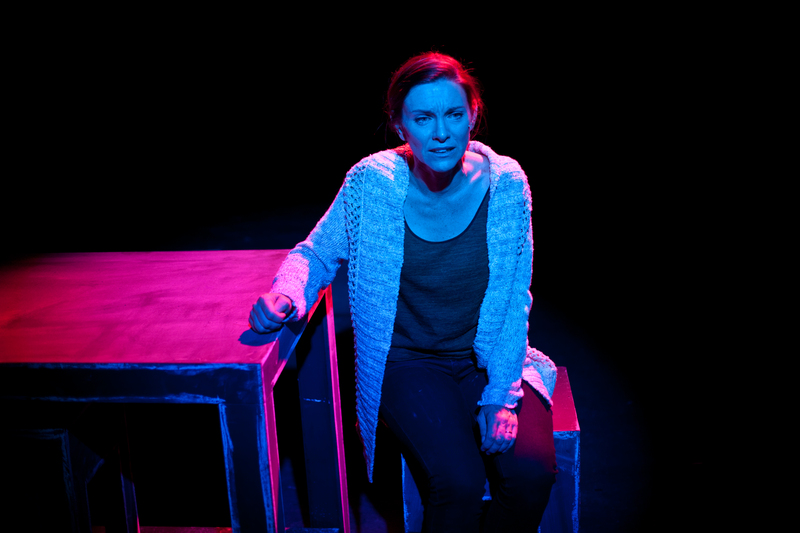 Meanwhile, the Hayes Theatre Co is currently staging an acclaimed production of Next to Normal from Geelong’s Doorstep Arts with Natalie O’Donnell in the central role of Diana. Other productions coming up at the Hayes include Blood Brothers in February and, in May, Dogfight based on the 1991 film of the same name about three young soldiers on a final bender before they leave for Vietnam. These and other independent productions around the country by smaller companies such as Squabbalogic in Sydney (which presents Man of La Mancha with Tony Sheldon from February 25 and Triassic Parq in June), Magnormos in Melbourne and Harvest Rain in Brisbane will add immeasurably to the musical theatre ecology. News that the Hayes has relaunched New Musicals Australia, an initiative dedicated to the development and production of original music theatre, is especially welcome for Australian musical theatre writers. When Grease premiered in 1971, it was a show with attitude that took a rough, raunchy look back at 1950s teenagers and celebrated the music of the era. Over the years, particularly with the advent of the much-loved film, the edges have been knocked off it and it’s become much less gritty. This latest incarnation, which originated in the UK with direction by David Gilmore and choreography by Arlene Phillips, could do with a bit more of that original grunt. Restaged by Jason Capewell and Charlotte Bull, the production feels a tad too slick for its own good and somewhat heartless. It needs to trust the moments more and find the truth in them to connect you better with the characters. As it is, you don’t really care about them. Lucy Maunder’s Rizzo is a notable exception. She really owns the role of the snarky, cynical leader of the Pink Ladies and her moving rendition of There Are Worse Things I Could Do is an emotional and musical highlight. The production begins, somewhat strangely, with a sing-along of We Go Together led by Miss Lynch (Val Lehman) while the students of Rydell High enter via the auditorium. In my experience, sing-alongs are never terribly popular with audiences at the best of times – let alone at the top of a musical. Here it is forced and awkward. After that slow start, much of Act I feels a bit flat. Though the cast performs energetically and the show rocks along (almost too frenetically at times) it all feels a bit hollow and the songs don’t really get things pumping the way you’re willing them to. The production picks up with Greased Lightin’ led by Stephen Mahy as Kenickie but it’s not until Todd McKenney’s appearance as Teen Angel that the show hits its groove. Resplendent in a gleaming white suit studded with rhinestones, a silver waistcoat, silver boots and white blonde wig that makes him look like a cross between Liberace and a cheesy Elvis, it’s a literally glittering turn. It may be unashamedly over-the-top but McKenney exudes the charisma, star power and fun that the show needs at that point to really lift: definitely another production highlight. Rob Mills and Gretel Scarlett are both likeable as Danny and Sandy. Mills’ voice has grown in recent years and he brings his winning, cheeky charm to the character, while Scarlett has a lovely voice, which soars with crystal clarity in Hopelessly Devoted to You. However, there’s little chemistry between them. Other characters among the Rydell High students are less well delineated and get somewhat lost in the mix, particularly the boys, with a couple of songs getting hardly any response from the opening night audience. Bert Newton may be a much-loved Australian celebrity and cast for that reason but he is far too old to play DJ Vince Fontaine – something that becomes wince-makingly obvious when he is called on to flirt with Marty (Karla Tonkich) – and his accent comes and goes. As Johnny Casino, Anthony Callea puts a contemporary pop spin on Born to Hand Jive instead of the original 1950s rhythm and blues rockabilly style – and something is lost. The set is relatively modest though it does the job and the colourful costumes work well but the choreography could do with a sharper 1950s vibe and edge. The story itself is so simple it doesn’t bear much analysis. The teenagers’ problems come and go very quickly, while the ending has always sent a somewhat mixed message with Sandy transforming herself into a bad girl to get her guy. But it’s always been that way and when everything is hitting the mark it doesn’t matter. Here, it is somewhat exposed. Nonetheless, the songs are great and so familiar that the audience laps them up. (They certainly did in Brisbane where the show sold out before coming to Sydney). Promoted as “the number one party musical”, this production of Grease is fun but it’s hardly electrifyin’. 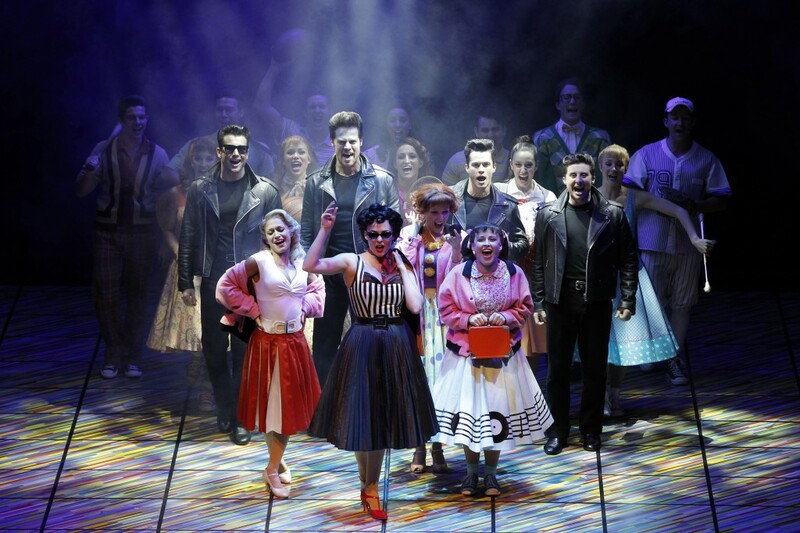 Grease plays at the Lyric Theatre until December 8 then at Melbourne’s Her Majesty’s Theatre, January 2 – February 9. 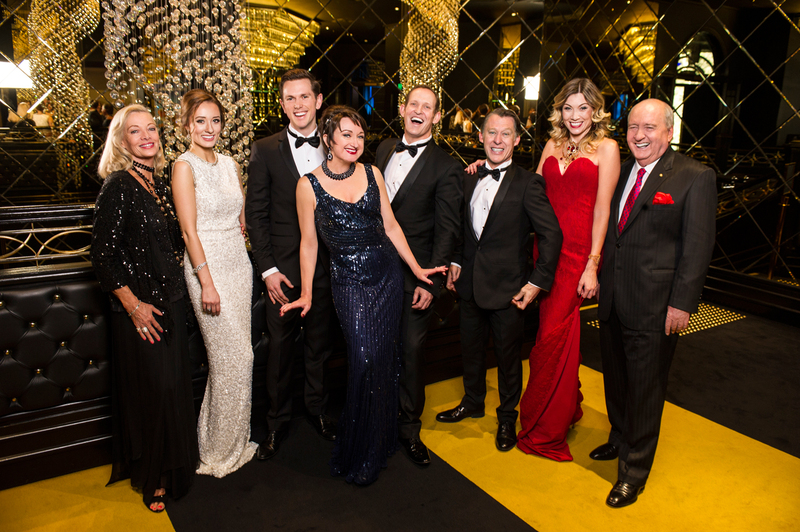 Todd McKenney is used to being centre stage. Now the musical theatre performer who has starred in shows including The Boy From Oz, Priscilla, Queen of the Desert – the Musical, Crazy for You and Annie among many others, is organising a series of personally guided theatre tours, which will give others the chance to join him there – if only after the curtain has fallen. Todd McKenney’s Centre Stage Tours will kick off during the Sydney leg of the forthcoming tour of Grease – in which he plays Teen Angel – when he will take people backstage after the show, ending up on stage for photographs with himself and other cast members. He is also opening up his beautiful, spacious home on Sydney’s Upper North Shore for high tea soirées at which guests will wander his lovely garden then gather around his piano for a relaxed private performance. The first soirée on August 4, at which he will perform with Nancye Hayes and Chloe Dallimore, sold out within a matter of hours after he chatted about it on radio with Alan Jones. However, there are still some tickets available for his first theatre tours. Some of the proceeds from the tours will go to the Children’s Cancer Institute Australia. The idea began during a conversation with his friends Julie and Chris Walker, co-owners of several Sydney restaurants including Berta in Surry Hills. John Frost, the producer of Grease, and the Lyric Theatre, where the show is playing in Sydney, both loved the idea. “The Lyric are giving us private champagne rooms as the guests arrive, all sorts of stuff. We have had two travel agents contact us now so we are meeting them. It’s just taken off,” says McKenney. The first tours on offer are dinner-theatre tours on October 25 and November 1 when a group of 30 will dine at Berta, which offers modern Italian cuisine, then go by private coach back to the theatre for pre-show champagne. After seeing they show, McKenney will take them on a backstage tour. There are also sip-a-soda tours on December 1 and 8 after the matinee with an optional meal. The reason McKenney is able to dine with guests before the show is that as Teen Angel he only sings one song in the second act – however, he plans to dazzle, literally. “They asked what I wanted to wear and I said, ‘I want to blind them,’ says McKenney with a laugh. Into the future, McKenney is performing in another musical for Frost next year, which is yet to be announced. He has also put in a couple of requests. “There are a couple of shows I really, really want to do before I can’t do them. One of them is Barnum,” he says. “I’m desperate to do Barnum so I rang Frosty one day and he and I have been talking about that for the future. I don’t know if he’s got it. Meanwhile, Dancing with the Stars – where McKenney has made his mark as the “nasty” judge – is set to return to Channel Seven for its 13th season. The line-up has not yet been announced but McKenney is keen to return. Tour information and bookings: toddmckenneyscentrestagetours.com.au or Julie 0411 424 010. An edited version of this story appeared in the Sunday Telegraph on July 14.